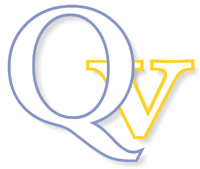 Welcome to Quavera, the leading international alliance of certification bodies across continents committed to providing the highest level of service accross amongst more than one hundred food and feed safety and sustainability certification programs under a system designed to achieve global market acceptance for our clients. Certify locally - trade globally! Through the quavera alliance, we've created a unique and easier certification service for you. It offers all the flexibility you need, while providing outstanding know how through our expertise. As an international food producer or processor, you know more than anyone how important it is to have your product meet local and international requirements. Our certification services are flexible, ajustable to your needs and affordable. Whenever your need a specific certification program, we will provide the service through the Quavera network with the best expertise. To find out more about a specific member certification body, simply click on the alliance member in your country of choice at right.